Cast iron cookware – a high quality, durable, hard and unchanging material. The inner and outer layer resists grazes and cracks. High temperature resistance up to 280°C. 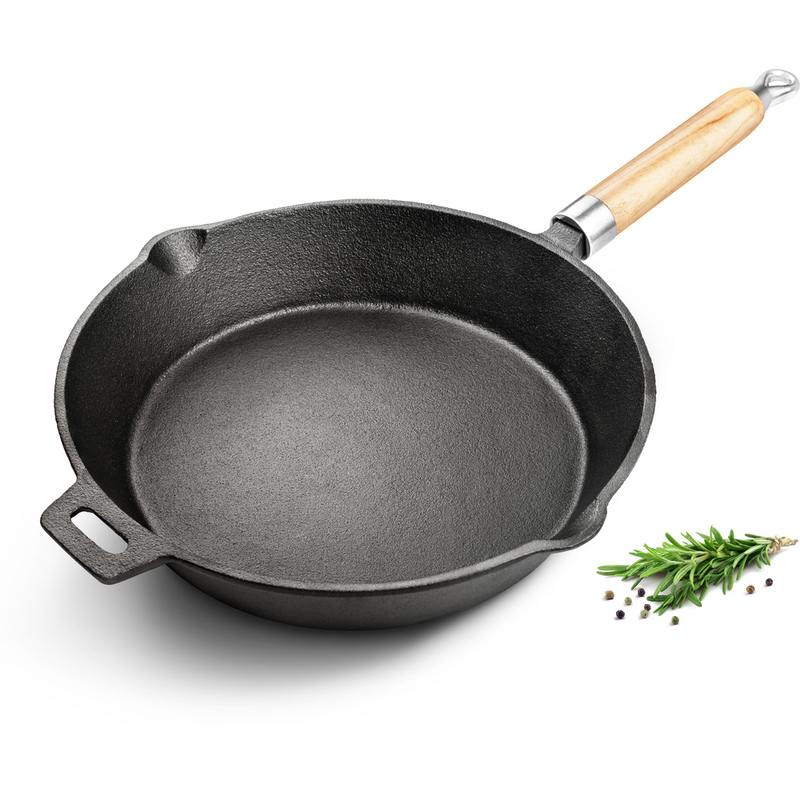 Quality cast iron with a non-stick layer combines low adhesion with high mechanical and chemical durability of the cookware. 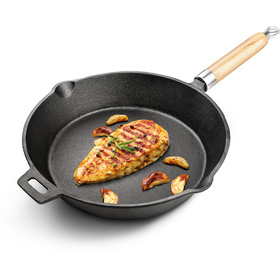 The inner layer with its ribbed or shaped bottom enables low-fat cooking while preventing food from sticking on. Large-format handles provide an even weight distribution and a safe grip. Despite its weight, cast iron achieves the best possible thermal conductivity and accumulation properties.